Who doesn't love a slice of pizza now and again? I haven't had a homemade pizza in so long and I thought it's about time I made one. 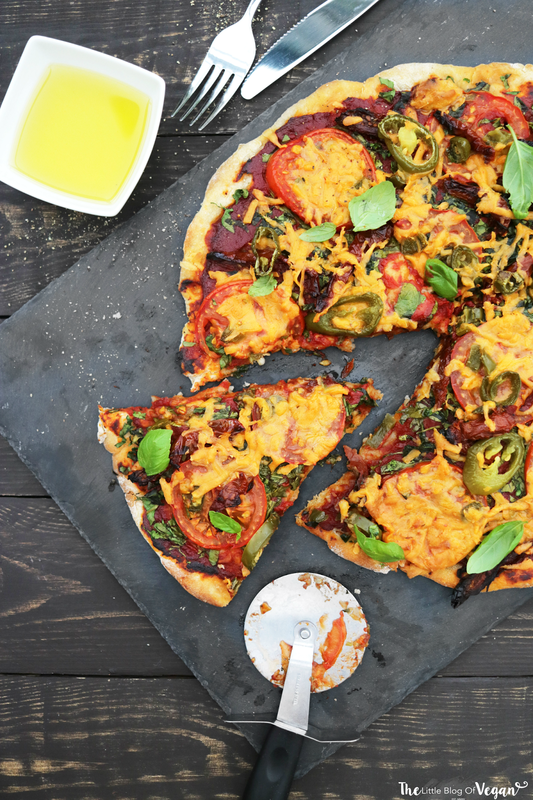 Thin crust is my absolute favourite so I made a scrumptious thin crust pizza with a jalapeno topping. Jalapeno is mine & my sister's favourite, and when we were in Tesco, we came across their brand new vegan jalapeno and chilli cheddar cheese. Oh my goodness, it's delicious! 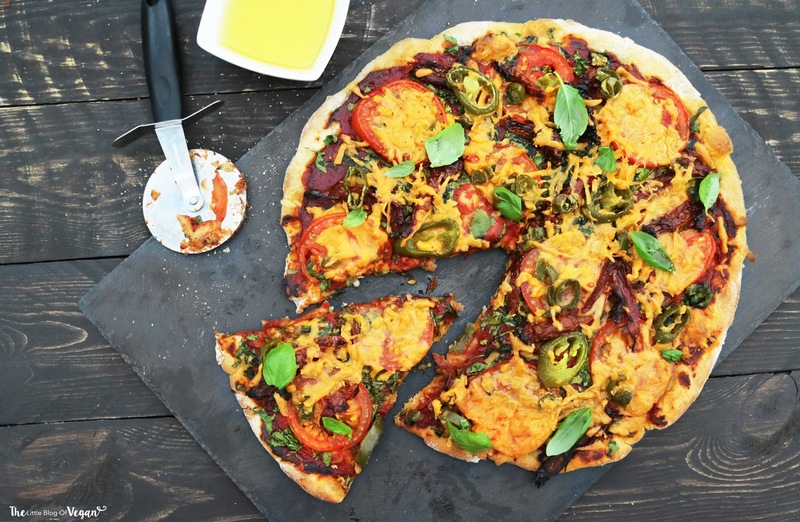 This pizza also includes fresh finely sliced tomatoes, sundried tomatoes, spinach for added goodness and of course JALAPENOS!!!! 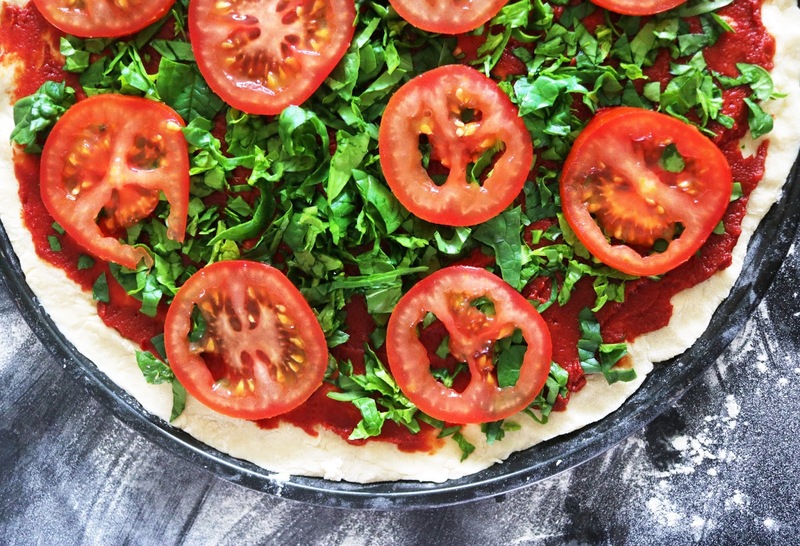 If you like pizza, you will love this recipe! It's easy to make and will be gone in seconds! 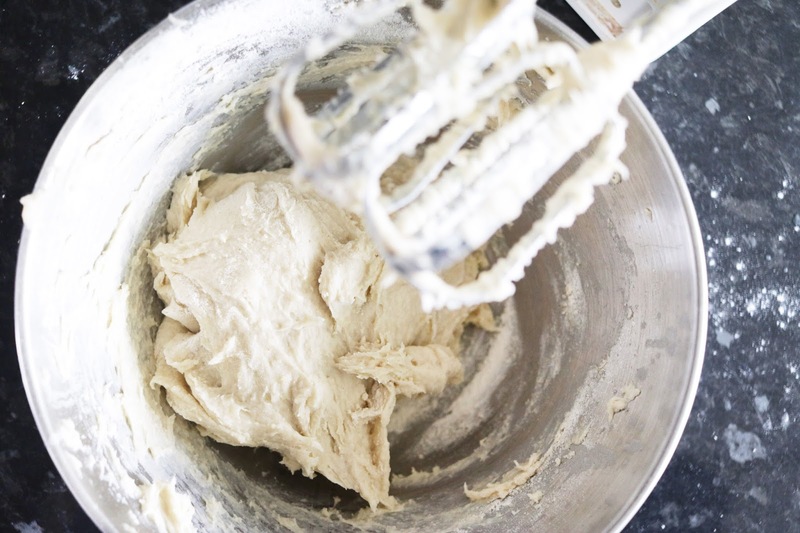 Step 2- Add the oil and water, then using an electric hand mixer beat until a dough forms. 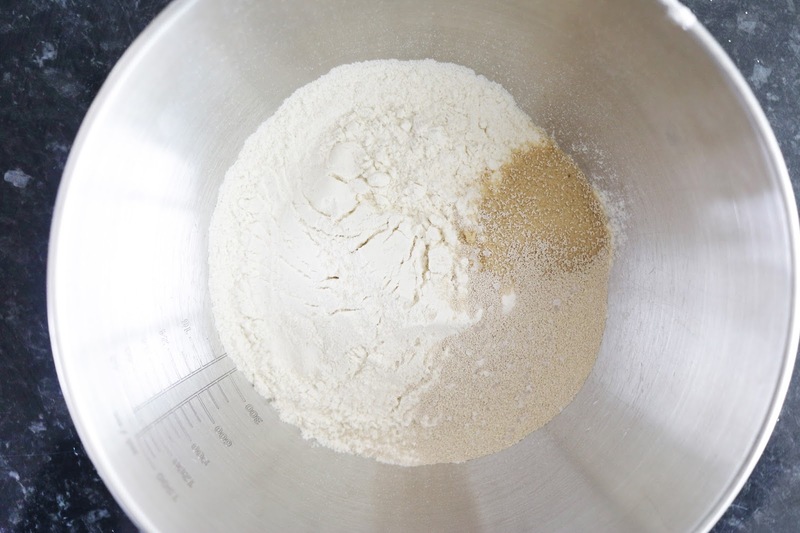 This will take a few minutes, then stir in the remaining flour. Add more flour if needed. 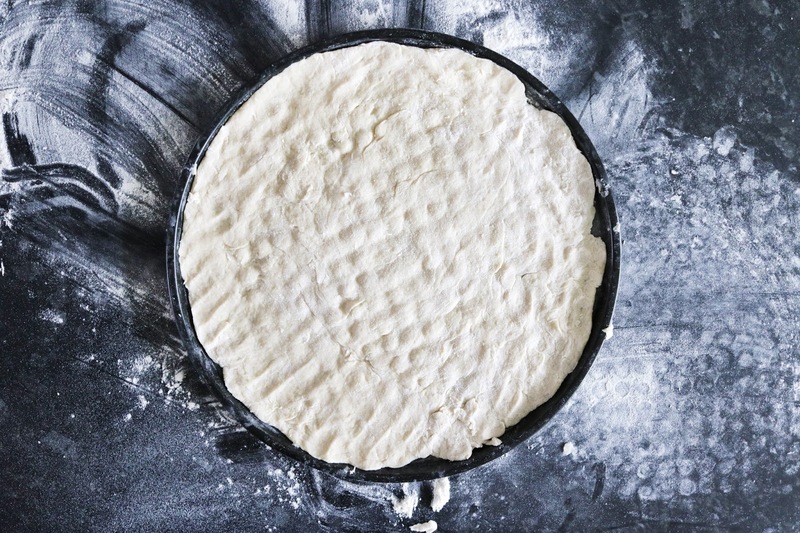 Step 3- Wrap the pizza dough in cling film and pop into a bowl and allow to rest for 30-40 minutes. This helps to activate the yeast. 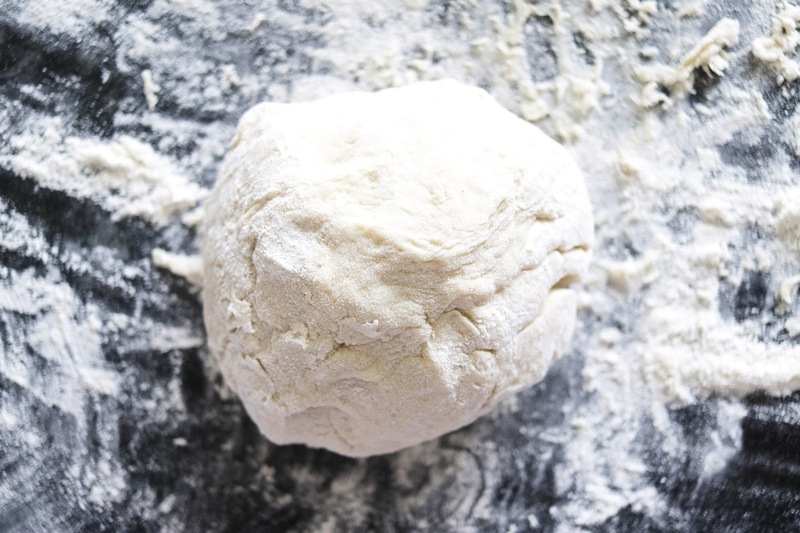 Step 4- Place the dough onto a floured surface and knead until the dough is smooth & springy to touch. 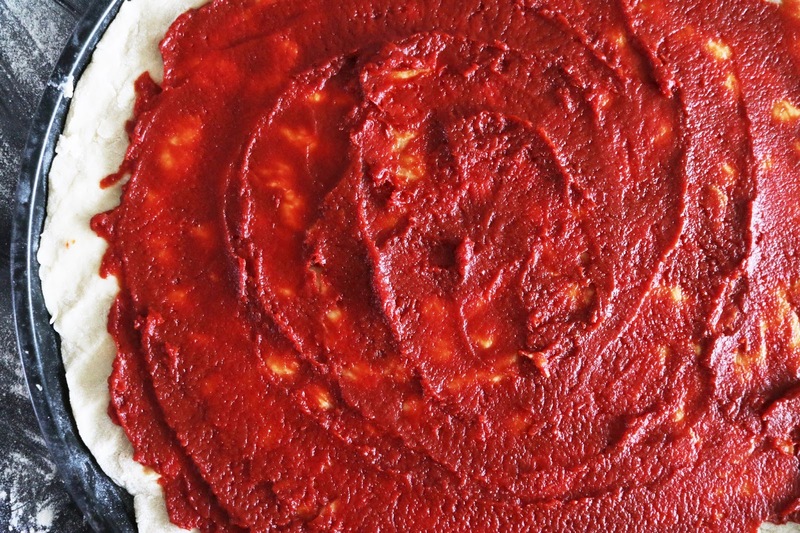 If you want the pizza to be extra crispy, you can pre-cook the base for around 5 minutes before adding the toppings. Step 5- Spread on the tomato sauce and top off with spinach, sliced tomatoes, jalapenos, sun-dried tomatoes and vegan cheese. Pop into the oven and cook for 20-25 minutes. Keep an eye on the pizza to make sure it doesn't burn. Serve warm with fresh basil and some rustic chips or enjoy cool with salad!